Fishing for walleye in the winter is both a challenging and rewarding experience. Catching a walleye can be as simple as using the right lure in the right place at the right time. Walleye are smart fish. They won’t simply fall for any old trick in the book. You must be patient and use lures that fit within their eating habits, natural food sources, and predatory instincts. 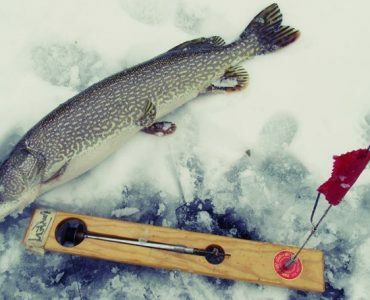 How do you know which lure will work best for you when you are out on the ice? 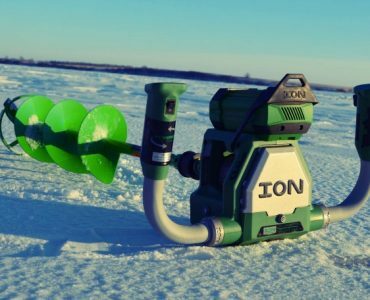 We searched far and wide for what top ice fishing guides recommend, and created this guide on the best ice fishing lures for walleye. So, please save and print, and increase your odds of catching your limit on your next fishing trip. Jigging Raps feature a reversed hook on the nose and tail and a treble hook hanging off the belly. The Jigging Rap also features an eyelet on the back of the lure for tying the leader. It can be bounced above the bottom like a yo-yo or be jigged in circles under the ice. Jigging Raps come in wide variety of standard colors, plus UV and glow. Sizes range from 1/8 ounce up to 7/8 ounce for deep water. As the name suggests, the Snap Rap works best with quick movements of the rod. Quick upward snaps of the rod tip make the lure dart through the water and then glide to the bottom. Like the Jigging Rap, it has a V shaped fin on the body. The fin creates the erratic action, with the Snap Rap being the more aggressive of the two. Similarly, it features fixed reversed nose and tail hooks and a belly treble hook with an eyelet for the line on top. The Vibrato vibrates and flutters when jigged, appearing like a struggling baitfish, and an easy meal to a fish. The Vibrato is more like a spoon because of a wider belly and thinner back in the design of the fish. You can work them fast or slow, and they will still vibrate and shimmy. 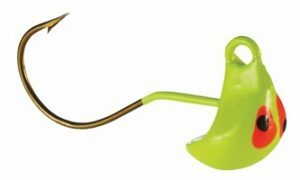 The lure feature treble hooks at the nose and the tail with a molded in line tie on the upper back. Swedish Pimples are an effective spoon because they mimic the actions of an injured bait fish by fluttering in the water, which can drive walleye wild. Swedish Pimples are available in flat and hammered styles in a variety of metallic finishes. Nickel, Gold, and Prism Red are some of the best colors for walleye. To catch larger fish like walleye, you need to use larger sized Swedish Pimples. Northland Buckshot Rattle Spoons bring plenty of noise to the equation. These spoons have an internal rattle chamber to imitate minnows and draw in lurking walleye. Rather than reflective metal finishes, the Buckshot Spoon relies on colorful patterns to attract fish. Each spoon has an eyelet at the nose and a single treble hook at the tail. The Buckshot Rattle Spoon is very effective vertically jigged around weeds and rocks. Sidewinder Spoons have an oblong shape that gives it a unique side to side action. 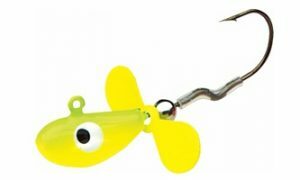 It is an all-purpose spoon that is effective with jigging, trolling and casting. 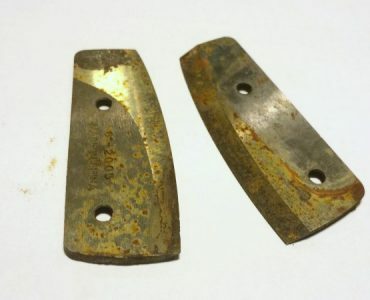 These are engraved to look like a baitfish, and have excellent metal finishes like the Swedish Pimple. This spoon features a hook in the tail and snap ring for attaching a leader. 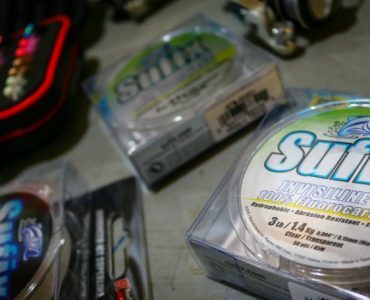 Sidewinders comes in sizes ranging from 1/8 ounce up to 3/4 ounce, and work well jigged in deep water or snapped fast near the surface. 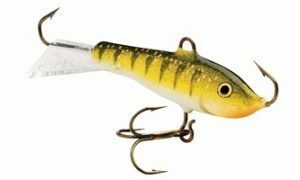 Whistler Jigs are teardrop shaped with large eyes, and have a unique metal propeller to help draw in walleye. A small bend on the hook shank keeps the propeller in place, and is a good keeper for tipping with live minnows. You can get the jig with UV colors that absorb light and give off a glow in the dark water under the ice. Don’t let the jig’s cartoon-like appearance fool you, this is one of the most effective ice fishing jigs ever made. Oddball Jigs are excellent jigs for using live bait. Tip the jig with a live minnow, and watch it roll back and forth when jigged. 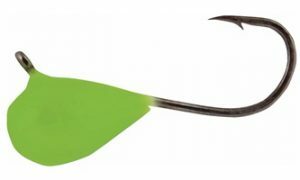 The Mustad hook shank has a unique bend to it that makes it possible to rig weedless or with the hook exposed. Oddball Jigs have a strontium laced paint job that are excellent at giving off glow under water. Fatso Jigs are small, plain looking jigs that are perfect for finicky walleye. Compared to lead jigs, tungsten makes the jig smaller and less visible to spooky fish. Fatso jigs will glow for two hours when exposed to 15 minutes of LED light, giving them great visibility in deep water. 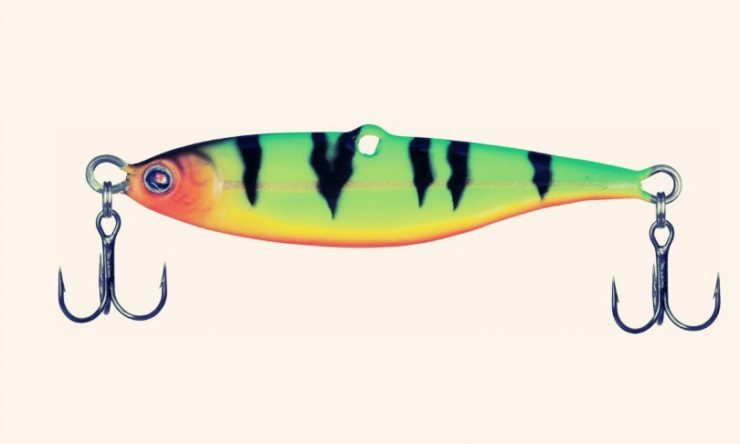 For finesse ice fishing, the Tungsten Fatso Jig is a killer lure.